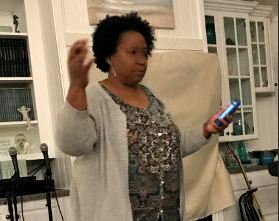 Yvonne had an open vision during a Worship & Prayer gathering on the first Friday of January 2018. She saw an angel wearing a blue sash blowing a silver trumpet up into the heavenlies (Num. 10:1-10). As the evening progressed, Yvonne then saw a company of 8-10 angels with blue sashes and gold trumpets blowing down into the center of the city. She heard the voice of the prophet that often stands at the city’s major crossroad crying out, “Jesus saves!” And then liquid gold (“hidden treasures”) began to run down the hill upon which our city sits. In those moments, the worship transitioned to singing about the blood of Jesus, seemingly on queue from an unseen conductor orchestrating, and she saw that blood running up the hill over top of the gold on the sound waves of the worship. Yvonne was then quickened in her spirit to prophetically sing “Ride the Wind”, He loves us. Strategies from Heaven – Holy Spirit leading the way! During that Worship gathering, Yvonne had a sense that the group was actually meeting in a tent from Revolutionary War times and that the folks there were military strategists (generals and other senior leaders) conferring on how to take the city. She thought about Captain James Jack who rode his horse on the wind to Philadelphia to take a proclamation of liberty (Mecklenburg Declaration of Independence) at the time of the birthing of our nation. 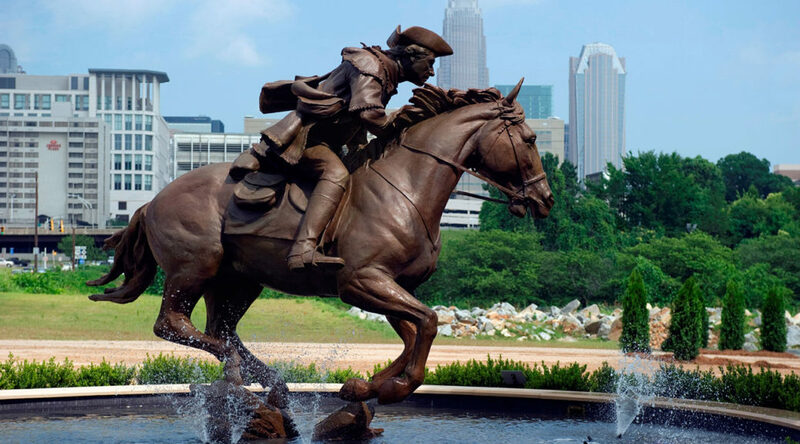 Later, Yvonne remembered that Chuck Pierce and Dutch Sheets’ stop in Charlotte for their 22-City Tour that September was called “Unlocking the Winds of Glory in The Carolinas”. And then in March, on the morning of Billy Graham’s funeral, as our team headed north to the birthplace of two of our founding fathers, George Washington (General of the American Revolution and our first President) and George Mason (father of the Bill of Rights), there was a wind that came out of the Carolinas that shook the entire Northeast. After several promptings by Holy Spirit to get an understanding of what the “blue sashes” were about, Yvonne found on a google search an excerpt from Tim Sheets’ book on Angel Armies that contained a revelation of angels with blue-colored sashes. Apostle Tim noted that blue is actually the color of a sapphire representing God’s heavenly throne but that blue color also represents Holy Spirit. So Holy Spirit with His angel armies (just as on the day of Pentecost) are leading the way! Hallelujah!! A New Era of Awakening – It’s Harvest Time! So the vision was a declaration that we have indeed crossed over into a new era of Awakening where we will see the greatest harvest of souls in history! Releasing Heaven Ministries itself had been birthed out of a supernatural open vision first witnessed by Yvonne in January 1990 and then reaffirmed through prophetic dreams in October 2012 which included apostolic teams, evangelistic outreach, worship, and spiritual warfare, much like what has been the pattern for reformation and restoration throughout Scripture and other world history. And all of these supernatural encounters can be prophetically traced to Yvonne’s heart-felt cry to the Lord back at summer’s end in 1988 for the present manifestation of His transforming power as was written in His Word. Yvonne’s pastor and local church at that time, sparked by the Washington for Jesus rally held in April 1988, had hosted a series of prayer walks and evangelistic outreaches in their troubled community with very little lasting fruit. Yvonne’s cry was to see drug & alcohol addiction, gang violence, poverty, sexual abuse, domestic violence, hatred, fear and hopelessness eradicated! MANY apostles and prophets are confirming this NEW ERA of AWAKENING & REFORMATION. Dutch Sheets along with Chuck Pierce (who we are aligned with) are amongst them – Dutch hosted a “Turnaround Conference” in Washington, DC on 2/22 (Isa. 22:22) to usher in this new era. There were even many prophecies about how the homegoing of “General” Billy Graham would be a signpost, and that he would leave behind a double portion of his mantle for MANY to carry a portion. So the discipling of nations, including our own, rests now on all of our shoulders. Are you ready? Will you join RHM’s “Gideon” Army? Last year the Lord directed Yvonne to read Judges 6 and to consider Gideon as she watched and prayed over the chaos that was springing up in many different places throughout our nation. In Judges 6, the Scriptures state that Israel had disobeyed the Lord and so the Lord had given them into the hands of their enemy. And that enemy would come in to take their harvest while Israel hid in caves. Sound familiar? Our “spiritual” enemy (Ephesians 6) has invaded our nation and stolen the hearts of our children. But just as the Lord visited Gideon and recalibrated his identity – Gideon was not the least nor was his family the least in the Lord’s eyes – the Lord Himself called Gideon a mighty man of valor and the Lord gave Gideon an assignment of restoration for the whole nation – the Lord will do that for us! When the Lord is with you, and He is the One giving you the battle plan strategy, it only takes a remnant to restore things. Gideon started out in the final stretch of obedience with 32,000 men to execute the Lord’s plan but the Lord whittled that number down to 300 – so that Israel would KNOW that it was the Lord who saved them (Judges 7). It only takes a REMNANT who will DARE TO BELIEVE that GOD can, wants to and wills to SHIFT a city, SHIFT a region, SHIFT a nation! See some of our past blog reports that show that truth as we have experienced it further below. As our Gideon Army, will you also prayerfully consider financially supporting our mission? In addition to your prayers which are the most important factor, will you dare to undergird us financially to help us decree together throughout Eastern USA and in key nations in the Middle East that the trumpets are sounding and that Holy Spirit is orchestrating supernatural strategies for deliverance and restoration. YOU can make a difference!! Some can give more (which we greatly appreciate); but, whether monthly or one-time, your gift of $15, $25, or $50 is NOT too small. 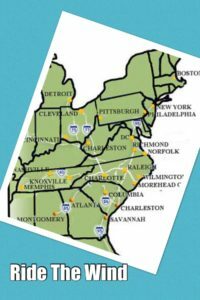 Some of our needs include additional staff, equipment repair & replacement, and additional travel budget to reach all of our assigned territory including our global missions. Releasing Heaven Ministries is a 501C3 organization and all of your donations to us are tax-deductible. Now is the time – the trumpets are sounding! 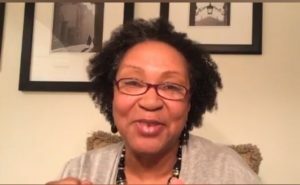 Below is one of Yvonne’s “This is That: Makin’ It Plain” Facebook Live videos where she talks about the impact of prayer and discipleship from the Book of Nehemiah.